I would never manage to read all the blog posts I follow if I didn't have a way of seeing all those posts aggregated in one spot. My RSS Feed Read of choice is Inoreader. While rabbiting on in a Facebook group today I confused one of the group members so, instead of typing out some instructions I used Google Hangouts to recordVthis little video. It may be of interest to you or your genimates. What better way to chill on a warm Friday than to catch up on some blogging business. Early in the week I thought I didn't have much fodder for this week's post but, as the week progressed, I found myself with an embarrassment of riches which I must cull. 2. Yvonne reflects on 200 posts. 3. People in South Perth chat on the blue bench. What a beaut activity. 4. Helen has a new branch to follow. 6. Do your family celebrations fall near each other lik Su's? 7. Should young girls marry soldiers? 8. Janelle has recently been a student at UTAS. 10. I've missed Linda's posts, she has returned with a bonzer one. 11. Alona has been learning at sea. 12. 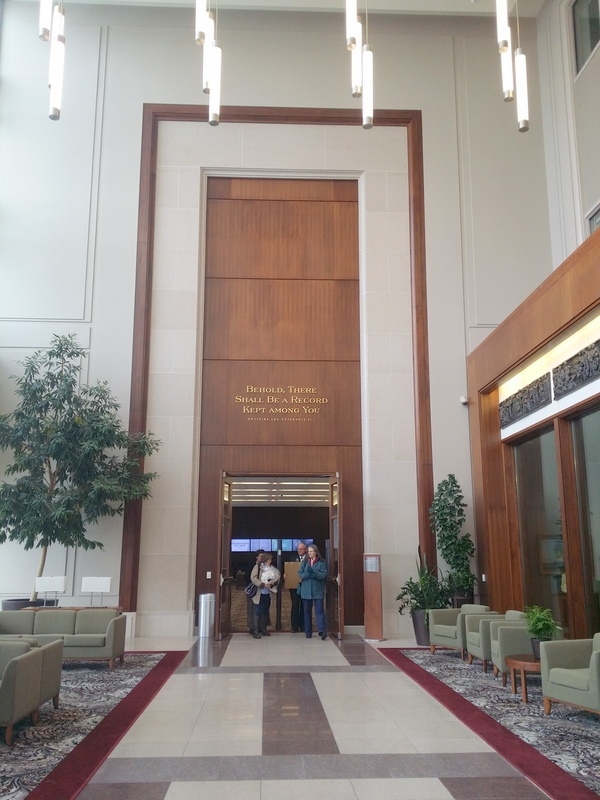 It's interesting to read a travel writer's report on Salt Lake City and the Mormon Church. And I just have to share reports on the Geneaevent of the Week in Sydney. 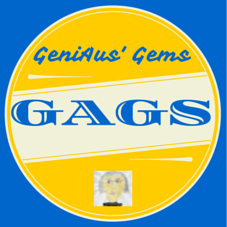 I am working on my Powerpoint presentation for my Blogging for Genealogy Webinar for The Society of Australian Genealogists next week. I've been running a critical eye over my blog and decided that the font I used on my header was a bit daggy. I wanted to present a more contemporary image to the world so I've just done a little tweak to my header in Canva by adding a different font and then in the template I've removed the blue colour from the page links at the top of the header. I'm no design guru but I think I've made it look a bit more clean. If I can get all the grandchildren together at Easter this year I'll try for another group shot for the header - wish me luck. Now I feel better about sharing this blog with webinar participants. The small but enthusiastic audience that gathered at SAG for the Unlock the Past Event in Sydney yesterday were winners in the genealogy stakes. 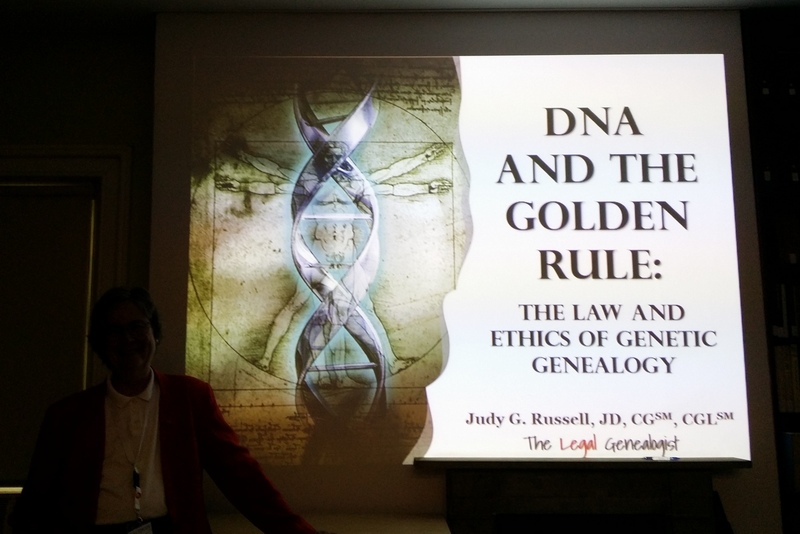 Those who didn't take the opportunity to join fellow enthusiasts missed out on two exceptional talks by Judy G Russell, a chance to win some valuable prizes and an opportunity to network with genimates. I can't understand why more folk didn't attend and can only surmise that perhaps the cost or location of the event put them off. As I entered SAG's grounds I didn't know who to say g'day to first, as quite a number of my pals were already waiting in the garden. It was beaut to see Dot who had travelled down from Narromine and Janelle and Sharon from The Central Coast. It was good to see interstate members of the Unlock the Past team too. I won't name everyone I saw as I may forget someone. I was pleased to see representatives from our Hornsby Shire Family History Group in attendance and I was chuffed when one lady said she came along because she had seen my video interview with Judy at Rootstech. 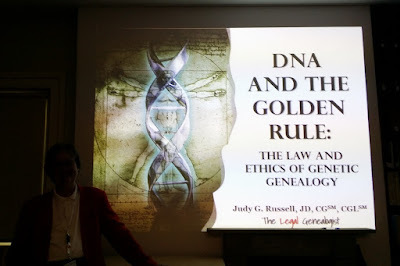 It is rare that I lavish praise on genealogy presenters but Judy is excellence in presentation personified. She knows her subject, she looks professional and acts professionally (although we casual Aussies encouraged her to discard her jacket in the 36c heat), she oozes passion and enthusiasm, injects humour into her presentations, involves her audience : she delivers on all counts. I am sometimes concerned at the quality of presenters that are sent down under, Judy (and a couple of others are exceptions). I do hope the organisers of our 2018 Congress consider inviting Judy (who has family connections to Australia) to be be a keynote (Hint, Hint). Judy will be performing at two more venues in Perth and Brisbane. I suggest you get along and see her at one of them. Judy presented two talks yesterday that encouraged me to think and inspired me to act, I was entertained into the bargain. After this talk I feel equipped to convince family members to consent to taking DNA tests without resorting to bullying. I thoroughly enjoyed the second talk which I had heard before. In a practical exercise with the audience Judy demonstrated how family facts and stories can disappear in just three generations. I am pleased that I blog some of my personal anecdotes and thoughts on another site but I realise that I need to do so much more. I want my grandchildren and their descendants to know their Gummy. After these two sessions Judy skipped off with Helen Smith to explore our city. We had a break for lunch at the local sandwich shop and reconvened for the prize draw. There were several generous prizes from sponsors, I won a 75% discount off some UTP resources while Sue, another Hornsby Shire Family History Group member, won a subscription to MyHeritage worth over $300. Alan Phillips (R) from UTP draws the prizes while Paul Blake (L) prepares for his presentation. The afternoon presentation consisted of two talks by Paul Blake, another presenter on the present Unlock the Past Cruise, who was onshore for the day. I was extremely disappointed (and have heard from a few others that they agree with me) in Paul's presentation on Irish Records. I am sure that many of those present in the audience would have done a better job with this topic. Thankfully one audience member was able to correct a couple of errors and add supplementary information. Paul's second presentation was on a topic I know little about, The History of Photographs, so I did learn something. My time after lunch would have been better spent on personal research. Then it was time to network. I wandered down to The Rocks with Jenny and Lilian where we stopped off at The Argyle for some long, cold drinks and a natter before heading to The Glenmore to reunite with Judy, Helen and a few other genies for some more cool refreshment and some Aussie tucker. Although we had hoped to get a spot on the Rooftop we couldn't so we managed to score The Glenmore Lounge where we sat around a large round table to chat and dine. And the good news is that I think Judy likes Australia so far, so she may come back. I had always wondered why my grandfather, Frank Duncan, walked off his 33,000 acre property, Elsinore near Cobar in the 1930s. In 2012 my mother told me that life was challenging on the property; my mother says her father wasn't suited to the hard work required "he was basically lazy". He may have been lazy but I now know there was a more valid reason for his departure. 30,000 of the 32,900 acres on the property Elsinore were burnt out. I don't know what stock losses were involved. As more newspapers from the district appear on Trove this information may come to light. Reports in the newspapers described the futility of the situation. This paragraph brought a tear to my eye "Many small squatters have been completely ruined.They cannot afford to rebuild their fences, let alone contribute to the fire-fighting fund." I thought of poor Frank, father of five, whose dreams for the future were probably in tatters. The following article describes how Diggers who had fought in the First World once again fought against a new enemy. And there it was the phrase that told me why Frank had deserted his property 'Duncan was taking a last farewell of his Elsinor Station,' which fire had ruined. ' The person cited in this article was not Fred Duncan but my Grandfather, Frank Duncan. Frank summed up the gravity of the situation when he said "There is nothing that has reminded me more than the war, than this". Thank you Trove for shedding light on our Grandfather's story. Diggers who fought to gether with, bayonet and rifle are to-day standing side by side with spades and leather fire-beaters in a battle against the bush fires. THE fires are steadily gaining ground. . 'Taffy' Andrews,' a welter weight boxing champion and one of the best-known of pugilistic figures, has been completely, cleaned out by the fire. 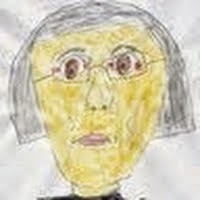 I love my portrait drawn by my granddaughter many years ago but I have been lamenting that I only have a very low resolution copy. You may have heard that I am moving my geneacave into a larger room in the middle of the house. You may also know that I have a small pile of newspapers in my "too hard basket" because I don't know what to do with them. As I moved the paper pile today I found nestled between the papers my original A3 portrait. I am thrilled that I have found this as I will be able to get a nice, clear scan of the original which will be backed up in several places. Several weeks ago my genimate Shelley (or was it Carmel?) suggested using Open Live Writer to draft posts for our blogs. Because I learn by trial and error and resort to instructions or manuals on an ás needs’ basis I decided to try out this tool. As I had a trip to Rootstech on the radar and I knew I was getting a new laptop I put off my experiment until I got back home and became familiar with my new toy. So today is the day. I have successfully installed the software and linked it to this blog. Now I’m writing the post. I can even insert Emoticons and Bing Maps (but I prefer Google Maps). I think the categories bar is the same as tags in Blogger but will have to confirm when I post. What has got me flummoxed is that the default font for paragraphs is set a 4 points and that even when I change it to 10 I can barely read what I have typed. I think this may be a Wndows 10 issue as it is happening with some other apps. This is what my input window looks like. All in all it's looking promising but I would love some assistance to get an input display I can read. I've settled back into my humdrum life after the excitement of Rootstech so have had more time to peruse the posts in my RSS feed this week. One distraction I have is that I am moving my geneacave from a smaller room at the end of the house to a large room up front and centre, closer to our router,the coffee machine and the front door.... plus I have a nicer view of the garden. 1. I concur with what Kirsty says here so I sought permission to copy and post it on my blog too. 2. So many of the Edublogger's post are relevant to genealogists as is this one. 3. Wishing my Masons were in Western Australia. 4. A Tuesday Tip from across the ditch. 5. More pertinent advice from one of my favourite bloggers, Carmel. 6. Jo spreads the love on #TroveTuesday. 7. There's a new blogger on the GSQ team. 8. Now I get 3D printing. Thanks to a group of youngsters. 9. Randy discusses options for saving our stories. 10. DNA bridges the gap for Schalene. 11. I didn't know the Bunnings had been in the hardware business that long. 12. Because I'm so proud of what we've achieved in 12 months. There is a place for genealogy groups in an online world. Sharn White, a fellow Rootstech Ambassador, invited me to join her in her interview with Ben Bennet from FindMyPast in the Rootstech Video Studio. As Sharn is still flitting about visiting family in the US she gave me permission to upload the video to Youtube and share it around on social media. THANKYOU, Sharn. Thanks also to Ben Bennet, whom I first met at Rootstech several years ago when he was part of the Familysearch organisation. My genimate, Kirsty Gray, has given me permission to share this letter she posted on her blog today. I share her concern about the generous people who offer, via online groups, to do free lookups on genealogy subscription websites. I might add that those who can't afford subscriptions can make use of the free access provided at public libraries and family history societies. Judy G Russell, in this video, eloquently explains why this sharing is illegal. I am writing today in the hope that you can take action over a very important issue. As a subscription-based service provider, your company has invested time and money digitising, transcribing and indexing records for the benefit of those of us who are keen (whether it be amateur or professional) family historians. We – a large proportion of the genealogical community – very much appreciate and value the work your companies are doing on our behalf to make more recordsavailable to us online (whilst continuing to enjoy the times when we have to ‘get our hands dirty’ with original documents and sources which are not available on our new-fangled gizmos). The rate at which you are adding resources is simply staggering and well worth the subscription fees we pay to access these records. However, some people appear to have access of these records we pay for, without paying. How, you may ask? And you would be right to ask….! Do these characters have clever ways of hacking into your sites without paying? Are there flaws in your security systems? No and no. These individuals are far from clever. They neither value nor respect the work that you are doing for the genealogical community and consider it their right to have free access to what they want. I wonder – would they expect to have a case heard in court, be represented by a solicitor and pay nothing? I am sure their plumbing and heating engineer would not turn up, fix their boiler and walk away without being paid. So, why is your service any different? It isn’t. You have terms and conditions, fair usage policies, copyright restrictions and more, all available on your websites. Recently, two of The In-Depth Genealogist team interviewed Jill Ball, Judy G. Russell and I about exactly this topic. We expressed our concerns about Facebook groups offering look-ups from your websites and today, a vocal few tried to educate members of one Facebook group about the T&Cs they signed up to when they paid for their membership. 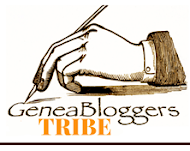 It was clear that our comments were not welcomed by certain members of the group and a few individuals appear to think that they are ‘providing a service’ to the genealogical community by giving others free access. An interesting perspective when they are breaching the conditions of use…. When these individuals were politely directed to these conditions, they seemed to think that the appropriate course of action was not to read the conditions and consider their obligations, but to criticise the people who were trying to assist in the group, before removing their posts and then blocking the vocal members of the community. The problem is, my dear Commercial Genealogy Company, that none of you jump up and down and do anything about these breaches. OK. I get it. You want all the genealogists to use your websites. You want us all to be your friends out here in genie-land. BUT, you are losing revenue because these individuals are providing copies of your records to others for free. If you banned a handful of people for ‘misuse of their subscription’ (or whatever you want to call it) and named and shamed them, more people would use your sites because they can no longer get what they want for nothing. We – the respectful genealogical population – are trying to support you out here. I would urge you to get your moles out as well as listen to and act on the issues reported by the community. Join these Facebook groups and flush out the people/group who are breaking your rules. If you don’t, we will all suffer and the only winners in this game will be these who are getting their research done for nought. Yours sincerely, A Seriously Concerned Genealogist. I was thrilled to see on my Kiva profile today that the two loans I made today brought the total of loans I have made to 100. For an outlay of just $520, added in dribs and drabs, in my account I have been able to lend $2,500 to entrepreneurs in third world countries. In addition people I have invited to join Kiva have made 68 further loans. How about joining our team? 'Genealogists for Families' Project on Kiva. Meet my new Genimate, the ASUS 13.3" UX303UB Multi-Touch Notebook. My faithful laptop purchased over four years ago has given me good service but was getting very slow and starting to do strange things. I often read horror stories from fellow genies with computers that just crash and die. I decided that I didn't want to be in that situation so I started looking around for a new model before the inevitable happened. I spent hours on the internet deciding what to buy without spending a fortune. I've had my new toy for two weeks now and am delighted. I cannot believe how quickly it boots up and connects me to the internet (no time to walk away and make a coffee). This baby is fast. Windows 10 (64-bit) (Lazy me wantedWindows 10, which I like, reloaded, didn't want bother of upgrading). I was influenced in my decision by the reliability of the ASUS netbooks I have owned since my first eePC in 2007. The price for these specs also seemed competitive. I wanted something small and light that would travel easily. The screen size is fine for occasional use and I'm using an external monitor at home. I like the feel of the keyboard too. I didn't need an optical drive, I have a couple of old ones on hand. Tweaking and adding of programs is ongoing. It is not until I set out to do a task that I realise I need to download something extra to complete it. The good news is that my genealogy software, Family Historian, is running like a charm and syncing with my smaller Pink ASUS. I still need to get my desktop set up to suit me, I could do with a bit of guidance here. I haven't found anything yet that makes me regret my decision to upgrade to this model. 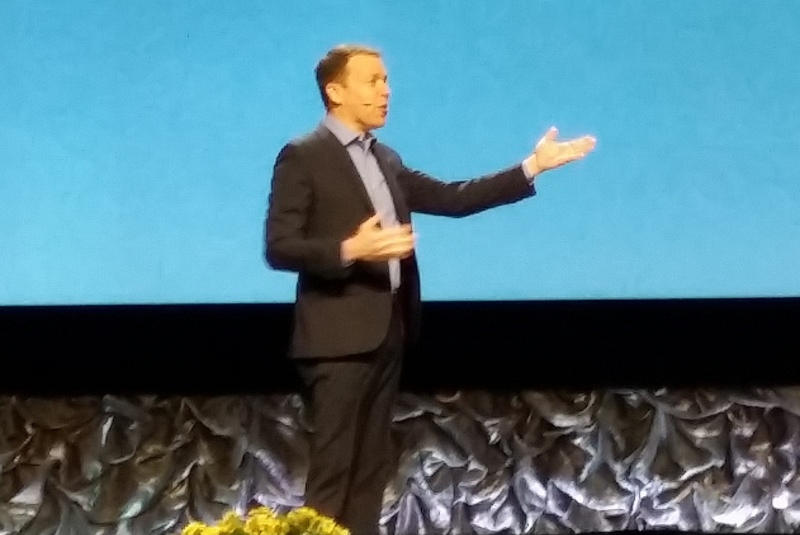 Because I had other commitments at Rootstech I was unable to attend the finals of the Innovator Challenge so, while I had played with some of the entries, I didn't know much about the eventual winner, TapGenes. When I was hanging around in the Media Hub on the last day of Rootstech, the lovely Chad Schumaker from Familysearch asked me if I'd like to interview a representative from Tapgenes... in five minutes time. I asked Kirsty Gray who was with me at the time if she'd like to join in and we quickly prepared our interview approach. We asked very simple questions and just let the interview flow. If you, like me, don't have an understanding of TapGenes and what it offers then take a look at our video. I was so tired after flying in from Rootstech yesterday that I couldn't concentrate on my Geneactivities. Having slept for 11 hours last night I awoke refreshed and settled down at the kitchen table to do my Geneachores. The chores have been completed and now I'm up to something I really enjoy - reading what others have to say about genealogy and a few other topics then sharing a few Gems with you. My selections this week have a definite Aussie bias as I haven't read much from writers overseas, I do make an effort to read all the Aussie posts that come into my Inoreader feed..
1. 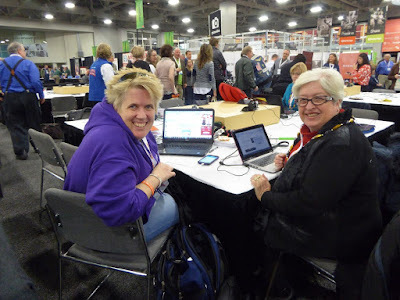 For those who couldn't make Rootstech Randy Seaver has compiled a list of blog posts from the event (there were several Aussies blogging). 4. Judy shares a Queensland index. 5. Because I had ancestors in Dungog too. 7. Thanks Alona, I remember ancestors in Ireland doing this. 8. Diane sees familiar items in a museum. 9. Maria's post had the best title of the week. 10. Moya writes of resourcefulness, resilience and ugly men. Jen and Shannon from The In-Depth Genealogy team grabbed Judy G Russell, Kirsty Gray and me for a video interview to discuss some of the topics we had raised in our panel session "Dealing with Ethical Dilemmas in an Online World." It was an honour to be included in the interview with Judy. Although I didn't get to say much I did a lot of nodding. We needed 80 minutes for our chat not 8. I have found numerous references in Trove that indicate that many of my ancestors had an affinity for hard liquor. I was therefore delighted to read of his sober state in a report of an accident my 2x Great Grandfather, Patrick Curry, had along the road near Berrima in 1859.
senior, an old and very much respected colonist of the same place, met with a very, serious accident on his way from Sydney, where he had been for loading, by the wheel of his dray passing over his body. The medical man in attendance has but very little hopes of his recov- ery. This is one of the instances in which accidents of this nature cannot be attributed to intoxication, for I have been informed the young man was perfectly sober. I am pleased to report that Patrick must have recovered as he lived until 1896 when his cause of death was Liver Disease! 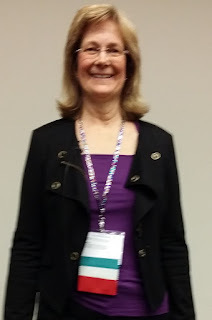 Unavoidable circumstances at Rootstech 2015 got in the way of my planned interview with Judy G Russell, The Legal Genealogist. Judy, a very gracious lady, offered to do an interview with me at a later date. I chose Rootstech 2016 and conducted the interview earlier this week. 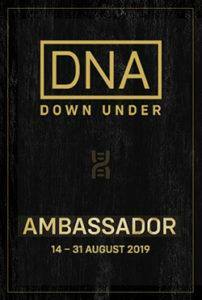 Judy, who is one of the best known genealogists in the United States is heading downunder shortly to speak on a genealogy cruise, undertake a lecture tour and explore our beautiful area. I invited fellow Rootstech Ambassador, Sharn White, to join me in the interview with Judy. Our only disappointment was that we were only given eight minutes to chat. Fortunately during the conference we had several other opportunities to speak with Judy. People in Australia and New Zealand will have a chance to hear Judy speak in several major cities. This video should whet your appetite. As we say in Australia "I am flat out like a lizard drinking". This week finds me at the Rootstech Conference in Salt Lake City where I am just too involved to post my blog selections for the past week. I'll be back in Australia next week and will surely have some selections for you. 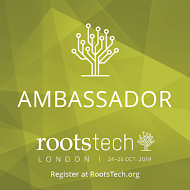 As a Rootstech Ambassador I have a chance to interview attendees at the event. I got to chat with Kirsty Gray from Wiltshire on Thursday. Thanks so much to my fellow panelists, Christine Woodcock, Kirsty Gray and Roger Moffat who joined me today at Rootstech to discuss Ëthical Dilemmas in an Online World. Although our audience was small exclusive it appeared to be a positive experience for those who joined us. One benefit of a small group is that one can actively involve audience members in the conversation. A few attendees approached me afterwards to say that they had enjoyed the session, no-one went to sleep and no-one walked out. One person commented on Facebook "They had great hypothetical issues to discuss! Well done." Thanks also to the many people from The British Commonwealth who came along to support our International Panel. Following are some pictures of the event snapped by our official photographer, Sharn White. As I am keen to hit the sack the report on my activities today at Rootstech will be in point form. 6:30 Leap out of bed and get dressed. I had bathed last night to save time. 7:15 Tour of Rootstech Expo Hall with Paul Nauta from Familysearch. The Expo Hall before the crowds swarm in. 8:00 Seated ready for the Opening session. A photo with Ruby, 15 year old Ambassador. 8:30 Opening Session: Steve Rockwood, Stan Ellsworth, Paula Williams Madison, Shipley Munson (I wonder if he is still Tenor Number 13? ), Bruce Feiler. 10:20 Move to Media Center and set up computer. 11:45 Audio interview - Stan Ellsworth. 12:00 Video Interview - Judy G Russell - a gracious lady who will be visiting Australia soon - watch ourt for her lectures in your capital city. Will post when available. 12:20 Video Interview - Kirsty Gray. Will post when available. 13:00 Lunch - Voucher kindly supplied by Familysearch. 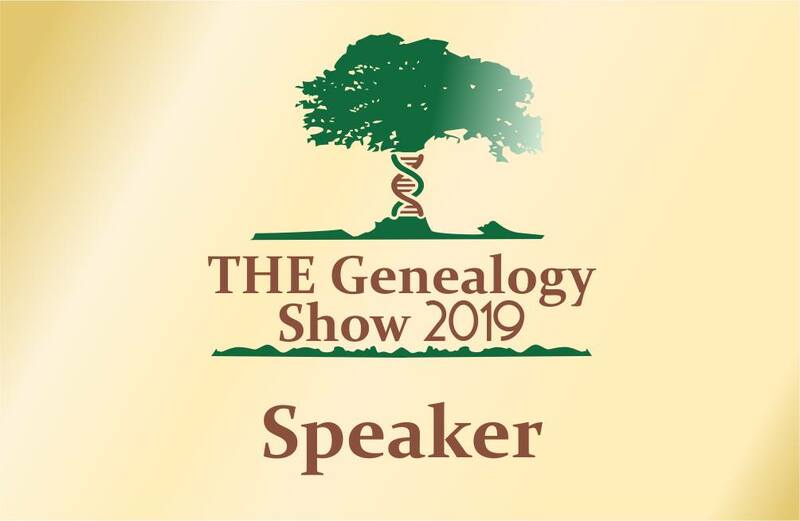 13:30 Presentation - Michelle Goodrum - Introduction to Genetic Genealogy and DNA for the Non-Scientist. Very good presentation supported by clear graphics. 15:00 Wander around the Expo Hall and chat with vendors. The area is huge with lots of vendors but I didn't spend a cent -Mr GeniAus would be proud. 16:30 Presentation - D. Joshua Taylor. Can I Undo That? 25 Tech Mistakes You Should Avoid. Ended the day on a high note, josh consistently delivers an excellent, rich and practical talk. 18:30 Dinner at the hotel with Australian genimates, Maureen, Fran and Sharn. Early to bed so I can be rested for my presentation tomorrow and a MyHeritage party tomorrow evening. My first degree is in Library Science so I was in seventh heaven today when, as a Rootstech Ambassador, I was treated to a behind the scenes tour of The Church History Library in Salt Lake City. I didn't even realise that this institution existed until I arrived at The Church History Museum for the tour and was told I was in the wrong place. Luckily I was early so I made the tour at the building up around the corner just in the nick of time. Our guide was a librarian who giggled with me about how we love putting things in alphabetical order. We firstly descended in the lift to the bowels of the building where we saw the temperature controlled vaults where original documents are stored in compactus and then were treated to a talk by the chaps who work on conservation in the audiovisual area. We were able to see and hear a collection of sound recordings on all sorts of weird and wonderful media. On ascending four or five floors we arrived at the area where conservation of printed and photographic materials takes place. This is a large airy room filled with natural light but which faces north to avoid damaging direct sunlight. One of the conservators showed us how various items are repaired. This institution which is the archive and library of The Church of Jesus Christ of the Latter-day Saints is open to the public, you can consult the catalogue and access digitised resources online . About half of the visitors are people who are researching their family history. The tour of this world class facility was informative and interesting. Thanks to the staff, conservators and our guide who made us so welcome.